Thanks to the right diet you can handle stress easily. Did you know that stress can be caused by irritability, palpitations, insomnia or vibrations of the eyelid? A menu rich in zinc, calcium, tryptophan, magnesium and vitamin B will alleviate the symptoms of stress, calm down, improve memory and thinking. All B vitamins strengthen the nervous system. Vitamin B1 regulates the growth of nerve cells, prevents depression, calms down, B2 adds energy, and B6 is involved in the synthesis of serotonin, relieves anxiety, supports the absorption of magnesium. Where to look? Vitamin B1 is groats, beans, sunflower seeds, B2 in broccoli, cabbage, wholemeal bread, avocado, B6 in beef, poultry and fish. A varied diet covers the need for this vitamin. Flavonoids are natural substances that give color to plants. They protect cells against free radicals. They affect the central and peripheral nervous system. Where to look? Most of them in fresh fruits and vegetables, apples, mandarins, oranges, grapefruits, bananas, grapes, peppers, cucumbers, chicory, celery, onions, and cabbage. So that you do not run out, eat fruits and vegetables five times a day and freshly squeezed juices. Magnesium stabilizes the functions of the nervous system and brain function. The energy supply to gray cells depends on how much we have. Calms, improves memory and thinking processes. Where to look? In buckwheat, beans, nuts, peas, spinach, bananas, cheese and chocolate. If you eat a piece of chocolate, you will not get fat and you will improve your mood. Women need 350 mg magnesium, men need 370 mg. If you eat a healthy diet, you should not miss it. By slowly releasing into the blood, complex carbohydrates help maintain glucose levels at a constant level. Then the brain produces the right amount of serotonin (the hormone of happiness), which calms and improves the mood. Where to look? In wholemeal products, breads, pasta (mainly durum wheat), groats, rice, beans, potatoes. If you include them in meals, you provide the body with as many complex carbohydrates as needed. 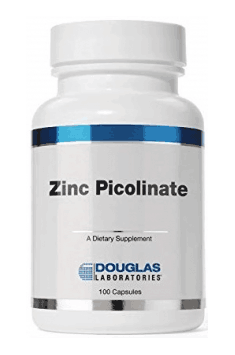 Zinc is needed for the production of many enzymes and hormones, including those controlling the nervous system. It is part of every cell in the body. It affects the activity of the brain. By strengthening the nervous system, it helps to cope with stress. Where to look? In seafood, lean meat, poultry, offal, beans, peas, whole wheat bread, wheat germ. The daily requirement (16 mg) is 20 g of liver or one smoked oyster. If the body’s calcium is not enough, the nerve cells become hypersensitive. It takes part in the release of neurotransmitters and the production of female hormones that affect the mental state of a woman. Stress resistance depends on it. The absorption hinders excess protein, caffeine and alcohol. Where to look? In dairy products, sardines, broccoli, soy, beans. It’s a lot of cheese, but it’s caloric, so you have to eat it in moderation. The daily standard (1000 mg) is covered with 3 glasses of milk and 10 g of white cheese. Do you cook buckwheat or rice in sacks? You regularly treadIn a plastic bag for rice and kasha, a toxic substance is present. Regularly consumed, it ruins health. Tryptophan is an amino acid needed for the production of neurotransmitters serotonin and melatonin, which are involved in controlling mood and sleep. It helps to deal with stress. The body can not produce it, it must be delivered in food. Where to look? In marine fish (mainly halibut), pumpkin and sunflower seeds, peanuts, eggs, avocados, bananas, lean meat, milk, breakfast cereals. If your diet is varied, it should not be missing. Previous Post Rooibos – properties and application. The way of brewing rooibos tea. Next Post How to limit the sugar in the diet?